If you haven’t already heard you should! Let’s Encrypt is building a new open, transparent, and completely free certificate authority service. This new service is completely backed by some major players such as the Linux Foundation, Cisco, and more. If you think that this doesn’t effect you it could actually save you a great deal! 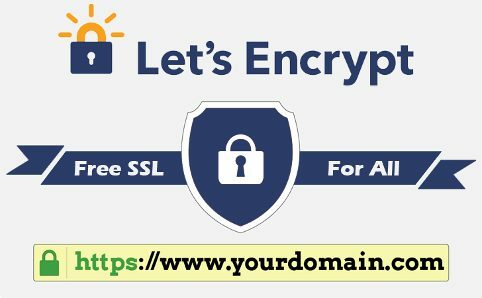 Essentially, through this service servers need to install the new authority service built by Let’s Encrypt onto their server. Then by running a simple command a new completely free certificate will be issued on that server specifically for that domain. This is done by sending specific information from your current server directly to the authenticating service, which will be run by Linux foundation. How does this effect my site and services? Essentially, this means that any site that is on a small budget can easily get access to free certificates and will no longer have to pay the hefty price of $225 per year. It’s not uncommon to find people complaining about the price of SSL certificates. It’s a fair complaint. When wanting to start up a new company, organization, or service usually your budgets are small and paying such fees is a big hit in your budget! With current traffic being watched, and a greater need for security having such services is a great way to ensure that people can surf the internet securely. Additionally, this service will keep track of when the newly issued certificates expire and automatically renew them for the domain. This has huge impacts in providing more secure services to individuals, as well as alleviating the hassle of having to re-install new certificates each year. At present, this service is only provided by servers that are run by specific users. So customers on DreamHost or other services won’t have the same access as those being hosted directly from a host like Linode. We can expect this service to be available and released in the summer of 2015! Contact us to find out further information in obtaining such services. Directly hosting from your own server is a cost-effective and appropriate solution. It can also save you a great deal of money!